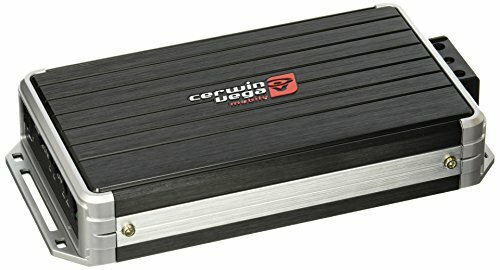 The Cerwin-Vega Mobile Stealth Bomber Class D Amp (B52, 2 Channels, 500 Watts) features a speaker level Input with auto turn-on for more compatibility and application purposes. The advanced rollback power and thermal protection circuit ensures that the amplifier continuously plays when driven under the most extreme conditions. The BTR port will work with optional Cerwin-Vega Mobile's Bluetooth receivers to provide a seamless connection for streaming music with any Bluetooth-enabled device.